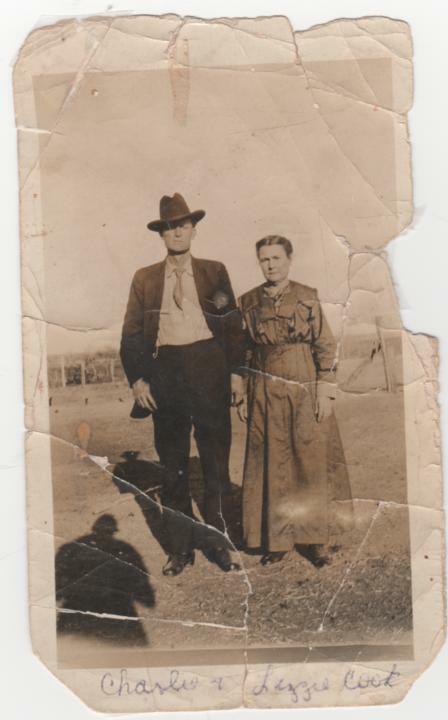 Charles Thomas Cook was born August 02, 1872 in Erath Co., Texas, and died May 26, 1940 in Comanche Co., Ok. He married Sara Elizabeth Mullins Heibelberg on December 26, 1892 in Erath Co., Texas, daughter of WILLIAM MULLINS and DELILA RUSH. She was born September 06, 1870, and died January 18, 1937.
i. LOWELL DAY COOK, b. March 30, 1908, Erath Co., TX; d. May 07, 1991, Duncan, Stephens Co., OK.
ii. 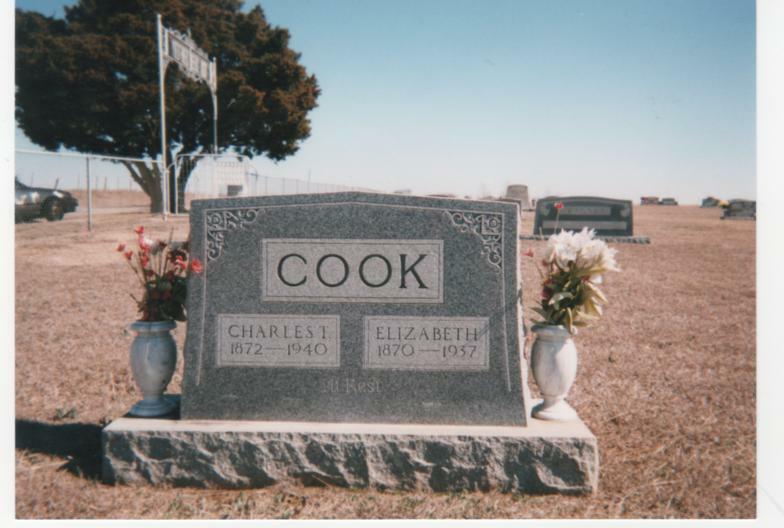 BERTIE LOU COOK, b. January 28, 1895, Alexander, Erath Co., TX; d. April 12, 1989, Lawton, Oklahoma. iii. ROSA E. COOK, b. 1889; d. 1968; m. JAMES R. MOSS; b. 1884; d. 1944.
iv. MASTON BURL COOK, b. February 07, 1901; d. December 08, 1984.
v. VESTAL LEE COOK, b. February 25, 1914, Oklahoma; d. May 31, 1975, Oklahoma City, Oklahoma Co., OK.
vi. CHARLIE COOK, b. August 22, 1896; d. November 08, 1952.
vii. LILA MAY COOK, b. June 11, 1899, Alexander, Erath Co., TX; d. May 18, 1987, Rhode Island; m. TROY BLOOMING KETCHUM; b. June 02, 1903; d. December 07, 1974.